BASSMASTER >> Rodman Reservoirs reputation as one of the best bass fishing lakes in the nation received another boost on Monday when Bassmaster Magazine released its rankings for the best bass lakes in Florida....but we ask, is any of this even accurate? Rodman Reservoir earned the No. 8 spot in the nation and is No. 1 in Florida Division, beating out Lake Okeechobee, St Johns River, Lake Toho and others for top honors. While the ranking are arguably correct at first glance, our and others catch ratios show much different results. While BassMaster went over and beyond prior years trying to find the best results and locate the sources of information they simply were incomplete. Lets look at there resources and break it down so you better understand. They're quoted saying, more than three months of research went into this year’s rankings,” explained BassmasterMagazine editor James Hall, who noted that the initial pool of top fisheries was developed with input from B.A.S.S. Nation members across the country, state fisheries biologists, the 3,500-member B.A.S.S. Council and some of the 650,000 Facebook fans of B.A.S.S. So the debate is not the results, but the resources and data used to calculate the results. Let us explain, when you read the results you're thinking as an angler. That, if I fish that body of water its going to hold the best and biggest catch! Wrong...that would assume that the survey was based on "Catch Data," which it should be, but is not. Simply, because its not available. So, instead it seems that BM had followers, readers and fans establish the ranking. Here lies one of the problems, as the readers see it published...."They believe the top rated lakes to be where they will catch the most and the biggest fish," not just which lakes were voted most popular by fans! 1) They used B.A.S.S. Nation member's, 3,500 B.A.S.S. council and 650,00 Facebook fans. That's great, but all have one thing in common they are all regionally located and almost guarantee voted for a local lake or popular named lake. Why, take in consideration majority of the anglers that live in let's say, California will and have never fished Ohio, Texas, Alabama, etc so how could they vote for a body of water located in Ohio? This works both ways, willing to bet if the data was published there would be a direct collation between the lakes ranked highest and where the geographical location of the votes were collected. Let's be real, even if you watch the BASSMaster tour on TV and it was awesome fishing on Table Rock Lake should you be able to vote for that lake even though you have never even fish it? That is not "Catch Data," and without it how can anyone rank for TOP lake? 2) Just encase the debate turned to state fisheries biologist collection as the data most important let us provide our readers a little additional information so you better understand. Most of the states that even collect data for bass, which is fewer then you would think. Out of those, majority provide what is referred to as shock data. You do this by traveling to the same locations on the lake, year after year at the same time, for the same amount of time. Then compare those results to the previous years. And while shock data is very useful, it is completely different then "catch data." Which is what most all states struggle to accumulate, but as anglers it is what we get each time we go fishing. Why not use shock data for this kind of survey you ask? Several reasons, and a few important ones. Any lake that is deeper them 8+ feet, especially lakes have ledges where fish stage. These fish can not be shocked, they are to deep so are never included in shock data. But these same fish on the same day, can be caught by anglers fishing which is "catch data" and never collected. There are many ways that shock data and catch data differ that is one example. To get catch data, some state agencies have biologist at the boat ramps or in some cases have boats that pull up next to you on the water and ask questions like, How many fish have you caught today? How many below 12", between 13"-18" and so on. This data is then complied to help manage the fishery, but in NO way does this get an accurate calculation of "catch data" or how a TOP lake should be ranked for anglers looking to go fishing. Included within the BassMaster statement was, “Then we scoured the Internet for current catch-rate data, using the results of more than two dozen tournament organizations and several state ‘lunker’ programs to narrow the field to 100. It’s a brutal process, but the results give bass anglers the ultimate bucket list of lakes for 2016,” Hall said. So let's look at the lunker programs that several states have started to collect data collecting programs, Texas has Share-a-lunker program and Florida has Trophy Catch. All these programs were created to better accumulate CATCH data and science for the biologist which helps with many things when properly managing a body of water. While these programs are needed to really properly manage the resource and accumulate catch data, they also cost the tax payers money. If not properly managed become like many other government projects that never meet there potential, which could be argued about either of these programs. 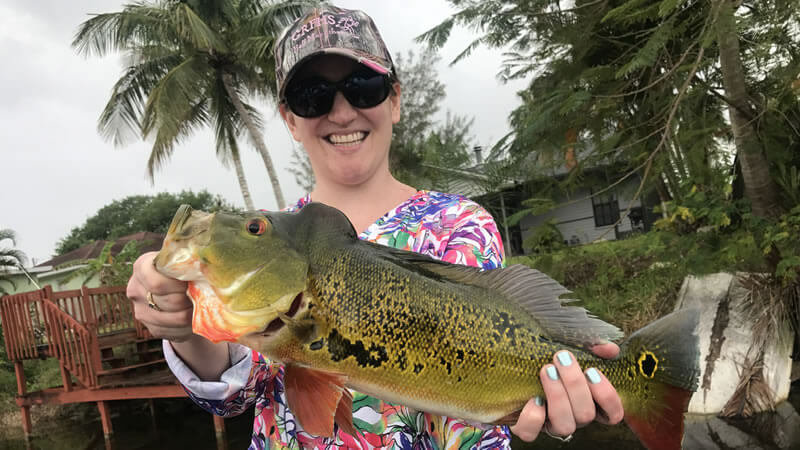 The difficulty of these programs is angler participation and with government agencies running them it leaves a lot of questions among anglers of why and how to participate. Ultimately, these data collection programs are highly needed, but many would suggest they could be more efficient and successful being privately operated. Either way, at this point because not enough data has been collected the programs could not have been solely used to determine the TOP 100 lakes in the United States...the lack of complete data makes it absolutely impossible. So, if your one of the anglers out there across the internet and are dissatisfied with this years results as many anglers and organizations are voicing there displeasure. Know this is NOT or COULD not be a accurate assessment of the lakes without proper catch data! Clearly by the statement made by BM they accumulated what little information was available, but knowing the information is inadequate should they still produce a list at all? Although we hope you share this post to educated and inform others, in no way do we want you to conclude or take-a-way from this post that any of these Top lakes on the list don't belong ranked as is...it's not about that!